The new Call of Duty: Black Ops III teaser doesn't show off any gameplay, as is seemingly the trend this week, but still provides plenty of dark sci-fi fun. You might even say it's "revolutionary," as Call of Duty games go, albeit in an oddly familiar way. Maybe Activision is trying to change something? "We will set the technological foundation for an enhanced human experience," the man in the video says. "And we will end disability." But then another man expresses a different perspective. "In our pursuit of progress, if we undermine the morals that define us, what good is our beloved progress then?" he asks. The US Supreme Court declares that discrimination against modified humans is unconstitutional. But the human revolution has already begun, and mankind is divided. And as augmented soldiers wage an invisible war, one question remains: Did we ask for this? 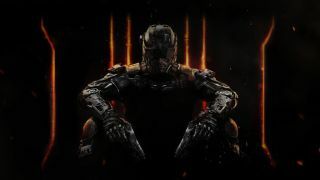 Call of Duty: Black Ops 3 will be revealed in full on April 26, and will launch later this year. Update: We aren't the only ones having a little bit of fun with the similarities between today's Black Ops 3 teaser and the Deus Ex games. In fact, Jonathan Jacques-Belletete, the art director on Deus Ex: Human Revolution and the recently announced Mankind Divided, got into the action himself on Twitter. "Hey @Treyarch, Adam Jensen says welcome on the bandwagon! The liquor bar is at the back ;)" he tweeted. A little while later, he added, "We lied guyz. Deus Ex: Mankind Divided actually takes place on the Eastern Front during World War 2. We felt inspired." Amusing though his comments were, the undisputed champion of the day came from the official Deus Ex Twitter account, which tweeted a simple image in response to the announcement of the trailer. I will let it speak for itself below. That, I believe, is what we call a win.